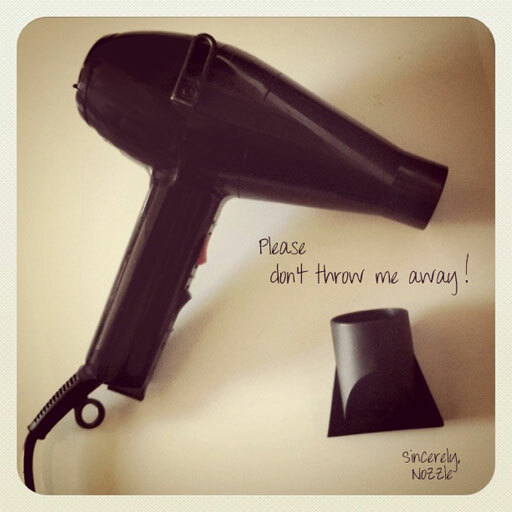 When you get a new blow dryer, don’t throw out the nozzle! A lot of people do this and don’t realize that it’s an important attachment. A nozzle helps direct the cuticle downward and gives you a much smoother effect when blow drying. After your hair is blown out and the cuticles are sealed down, then you can remove the nozzle and “stir up” your hair for added texture!